Victoria, Mahe (Seychelles) – December 17, 2017 (travelindex.com) – The feeling of Christmas Time is indeed upon us all. In exactly 8 days it will be Christmas, the most wonderful time of the year. This is the time for giving and the time of the year for deep reflection. It is at that time of the year that many of us realise and appreciate that we are indeed very lucky to have a family we can count on, and many true friends. At Christmas time spare a thought to those who do not enjoy that privilege. Seychelles is indeed going through a period of readjustment and adaptation. Many see it as a new Seychelles with its teething problems, whilst others see this as a time for quick gains. Some who have worked hard all their lives see a period of unsettlement where their family’s investments have now become vulnerable, others are in denial and continue with life as if nothing happens. The diverse views and take on the situation on hand shows that it takes all kind to make a world. Leadership is what differs a country from the other. It is what gives a better life to citizens of a country over another. Leadership erodes man-made challenges and sacrifices, because no one should be made to live with any man-made actions that often borders on an injustice. Leadership is also respect and having the ‘needed grandeur d’esprit’, to quote Sir James Mancham, the Seychelles founding President who sadly passed away earlier this year. India saw a classic example of leadership with class this week when Prime Minister Narendra Modi took the trouble to tweet a congratulatory message after the election of Rahul Gandhi as President of the Congress Party. Prime Minister Modi said in his tweet:- “I congratulate Rahul Ji on his election as Congress President. My best wishes for a fruitful tenure”. Prime Minister Modi welcomed his adversary as a Leader on the political scene of India. 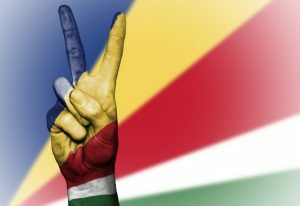 This is respect for others, and as Seychelles Roman Catholic Bishop Denis Wiehe said in his New Year Message in 2013 `Respect for each person is the basis for true democracy`. Prime Minister Modi, in so doing, showed that he appreciated the notion that NO ONE had a monopoly on opinions and ideas. As a seasoned leader he welcomed his challenger with no sarcasm and no ill feeling. This week Bianca Spinner, the Lifestyle Editor of “Hello Joburg Mag” was holidaying at Constance Hotels in Seychelles. Her various posts were being monitored and followed closely, and to the credit of Seychelles as a sought after tourism destination, Bianca Spinner simply posted ‘Paradise Found’ and many more such positive messages to the thousands who follow her. The National Geographic Traveller Magazine has also this week listed Seychelles on the “Cool List 2018”. Being on the list of cool destinations to watch for in 2018 is a great accolade to receive, especially when it is the experienced the Team of Editors and Writers at National Geographic, who are the ones listing the holiday destination as Number 14 on their “cool list for 2018”. Seychelles being on “The Cool List” of Holiday Destinations for 2018, and the publicly posted compliments by Bianca Spinner, puts once again the “Duty of Care” responsibility firmly on Seychelles as a tourism destination. This “Duty of Care” for all “Visitors in Seychelles”, as it should have for its very own citizens living in Paradise. This is a big responsibility, and one we should not take lightly as a country, because it is us that has to issue due warnings if and when we feel we are not in a position to ensure that adequate security and personal safety is assured for all. Book your dream vacations, hotels and private islands in the Seychelles and around the world at best rates available only at HotelWorlds.com. Pay at the hotel. Book now! Africa has a new Zimbabwe in its fold, and the echoes from the Tourism Industry of Zimbabwe speaks of the words of encouragement by President Emmerson Dambudzo Mnangagwa, the new President of Zimbabwe. Words that touched on the country’s natural resources that must be exploited for national good were echoed by the President at his swearing-in ceremony and was appreciated. “The fabulous natural resources we have as a country must be exploited for national good through mutually gainful partnerships with international investors whose presence in our midst must be valued and secured”. Many from the tourism industry are today saying that the fabulous natural resources is tourism starting with the famous Victoria Falls of Zimbabwe among others. Tourism has many challenges that continue to creep in making it always a challenge to remain on top of things whilst remaining visible and relevant. Trip Advisor, the guide to many for booking tourism services and holidays was caught when Oobah Butler, an English Journalist created a ‘Fake Restaurant’ and within only six months was able to be listed as the Number 1 Trip Advisor restaurant. With just an address and the needed facilities for making reservations on line, and a group of friends ready to play the game, all was set to trap Trip Advisor with its name, ‘The Shed at Dulwich’, to have it listed as London’s Best Restaurant. It started off by being placed 18149th on the list of London Restaurants, and became Number 1 in just six months because friends and accomplices posted regular reviews and the restaurant, that never existed, just kept refusing bookings saying they were fully booked. A myth was thus created, and fake restaurant with the name of ‘The Shed at Dulwich’ with its garden address was soon listed as the place to be. For Trip Advisor this coup was an embarrassment because its recommendations are based on word of mouth and this should represent ‘experienced it’, ‘seen it’ and ‘lived it’, but challenges such as the ‘Fake Restaurant’ incident makes it more difficult for genuine tourism establishments and products needing guest feedback to push their own visibility campaigns. This week we also saw an unfortunate incident when “The Spirit of Ton Joe” cargo landing craft got stuck on the reef at La Digue island. Joe Albert and his family are important tourism players in Seychelles, and they also own one of the main quarries of the islands. That landing craft is used primarily to cart heavy construction material between the islands of the Seychelles archipelago. The Saint Ange Tourism Report wishes to sympathise with the Joseph Albert Group of Companies for this unfortunate accident. After intense salvage operations “The Spirit of Ton Joe” was re-floated around 1am last Thursday morning, the 14 December, and it returned to base. As the World of Entertainment recently said Good Bye to Johnny Halliday in the island of St. Barts, Myrose Hoareau of Reunion Island forwarded to us pictures and reviews of Johnny Halliday’s holiday with Nathalie Baye in Mauritius in 1985. Myrose Hoareau enjoyed the holiday with them as is seen on the cover of Reunion’s Tele 7 Jours Magazine. Finally, as I have said before I will say it again, I will not stop to throw stones at every barking dog because this will just delay me getting to my destination, and as was said in a previous editorial:- “When people throw you stones it’s because you are a good tree full of fruits. they see a lot of harvest in you. Don’t go down to their level by throwing them back the stones, but throw them your FRUITS so the seeds of yourself may inspire them to change their ways. It is important to again today acknowledge all who are diligently re-posting the Saint Ange Tourism Report weekly. Our Report ranges far and wide, from Australia to the Americas, from the Indian Ocean Vanilla islands to Africa & Asian and Greater Europe, with your continued support, which is greatly appreciated. You are helping us to go from strength to strength with each new Edition.